A legendary spread. Photo courtesy of Roscioli. We were delighted to hear that Fathom contributor Katie Parla was publishing Tasting Rome, a book all about cooking specialties from the city's best restaurants, because we don't know many people who eat better than her. We asked Parla where she scores the super authentic local ingredients she uses to make the recipes in her book. (We plan on filling our suitcases with them the next time we're in Rome.) To whet your appetite, here's a recipe from the book. Central Rome's most luxurious gourmet shop is also a wine bar and restaurant, so I visit outside traditional dining hours (before noon and between four and six) to shop a selection of salted and cured anchovies (a critical ingredient in many Roman dishes), and an array of dried pasta from artisanal makers like Gragnano's Pastificio dei Campi. Those willing to risk crossing borders with unauthorized cured meats should grab an Amatricana or Carbonara kit, which comes with all the ingredients needed to recreate Roscioli's versions of the Roman pasta classics. Otherwise, I suggest sticking with hunks of Parmigiano-Reggiano and pecorino Romano, which can be vacuum-sealed for travel. Local cheese from Lazio. Photo courtesy of Pro Loco Dol. For some, this is what heaven looks like. Photo courtesy of La Tradizione. 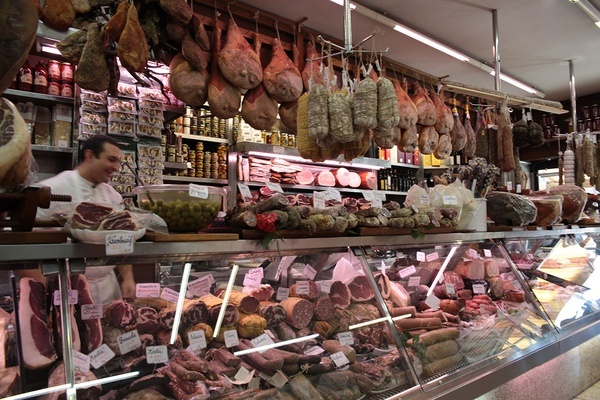 Vincenzo Mancino's haven only carries products from Lazio, the region in which Rome is capital. These products have long been taken for granted by Romans, who dismiss them in favor of prestigious products from the north. Mancino has been working against this impulse for years and has made great strides restoring dignity to the region's simple agricultural producers. At Pro Loco Dol, my favorite buys are heirloom legumes, prosciutto di Bassiano, and conciato di San Vittore, a raw-milk cheese aged in crust made from wild herbs and spices. 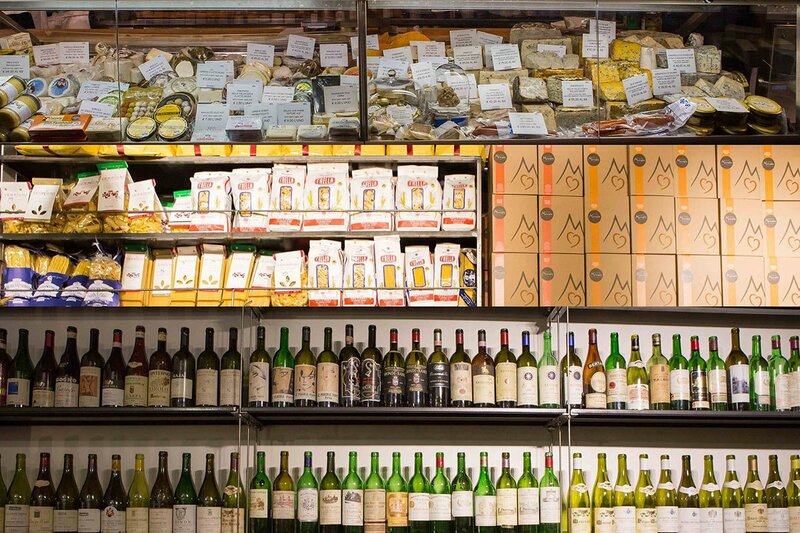 I routinely cross town to shop at this fabulous gourmet shop and deli north of the Vatican. 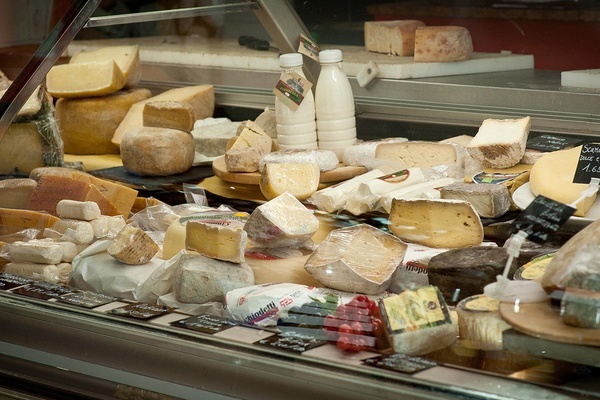 La Tradizione is known for aging and selling more than 400 kinds of cheeses. I go for very salty locally produced pecorino Romano, but leave with heaps of whole guanciale (legally, you can't bring this into the US, but you could try), dried pasta, traditional balsamic vinegar, extra virgin olive oil, and bottles of wine. They carry vino from my favorite Friulian producer, Damijan Podversic. Roman craft beer. Photo courtesy of Domus Birrae. The Jerry Thomas Project speakeasy opened in 2009 in a tiny ground-floor space in Rome's Renaissance nucleus. Earlier this year, the Jerry Thomas team opened a shop across the street from their famous bar that sells artisanal spirits and vermouths, mainly house brands Antica Distilleria Quaglia and Vermouth del Professore. Vermouths are made in several styles and make lovely aperitifs. I love serving Vermouth del Professore Bianco, an aromatized wine made with moscato grapes and a mix of spices, on the rocks with dashes of orange bitters and a twist. Located on hectic Via Cavour, Domus Birrae was one of Rome's first craft beer shops. Fridges are packed with chilled, ready-to-drink beers from foreign and domestic brewers, but I always head straight to the back where large format bottles, mainly from Italian producers, populate the shelves. 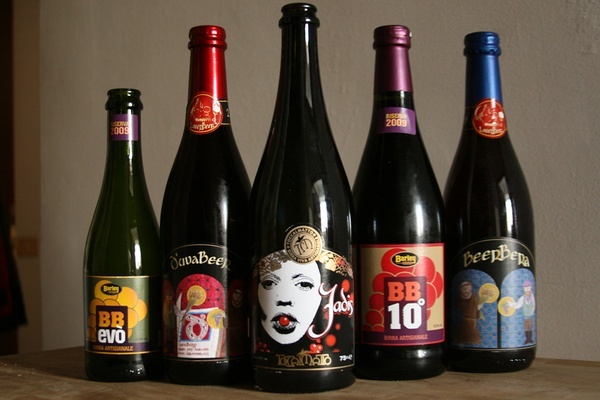 It's difficult to find Italian craft beer outside Italy (and it's insanely expensive abroad), so I always tuck a few bottles from brewers like Montegioco or LoverBeer in my luggage. Jewish pizza and ricotta cake. Photo courtesy of Boccione L'Antico Forno. 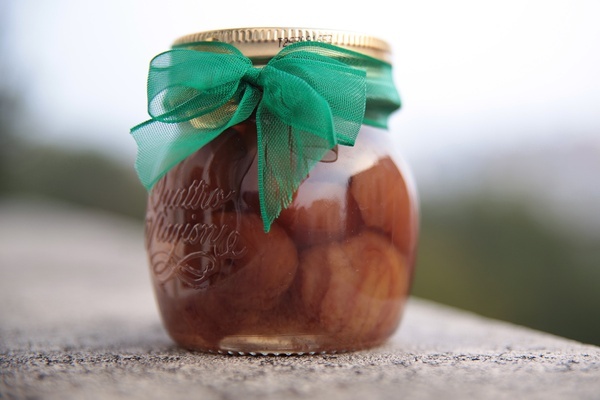 Candied chestnuts in syrup. Photo courtesy of Confetteria Moriondo e Gariglio. 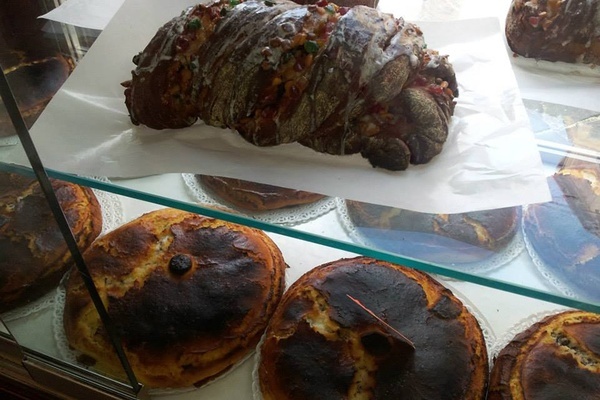 Century-old Regoli is one of the city's most-loved pastry shops. I visit year-round for maritozzi con la panna, yeasted buns filled with whipped cream. During holidays, I go for seasonal baked goods like pandoro and panettone at Christmas and colomba at Easter. On the main street of the Jewish Ghetto, this sparsely decorated bakery dutifully produces traditional cookies from the local Roman Jewish tradition. They're delicious and durable, which make them a no-brainer souvenir when I travel to the States. Biscotti with almonds and cinnamon are my favorite. Pizza ebraica (Jewish pizza) is a dense fruit cake studded with pine nuts, raisins, and brightly colored candied fruits. These two are so addictive they never make it back to my apartment, much less into my luggage. At Boccione, I grab a slice of ricotta cake or almond paste and sour cherry jam tart to eat on the benches nearby — there's a fountain across the piazza for washing up. Founded by a Piedmontese family in the 19th century, Moriondo e Gariglio is Rome's most revered chocolate shop. Their cacao-based confections are sold by weight from the counter at the back of the store and carefully packaged. While the dark chocolate-coated nuts and brittle travel well, the most durable items are jars of marron glacés, plump candied chestnuts in syrup. 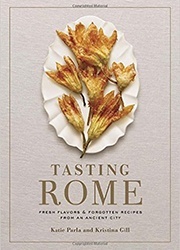 Buy Tasting Rome: Fresh Flavors and Forgotten Recipes from an Ancient City, by Katie Parla and Kristina Gill. Cook this recipe for porchetta from the cookbook.